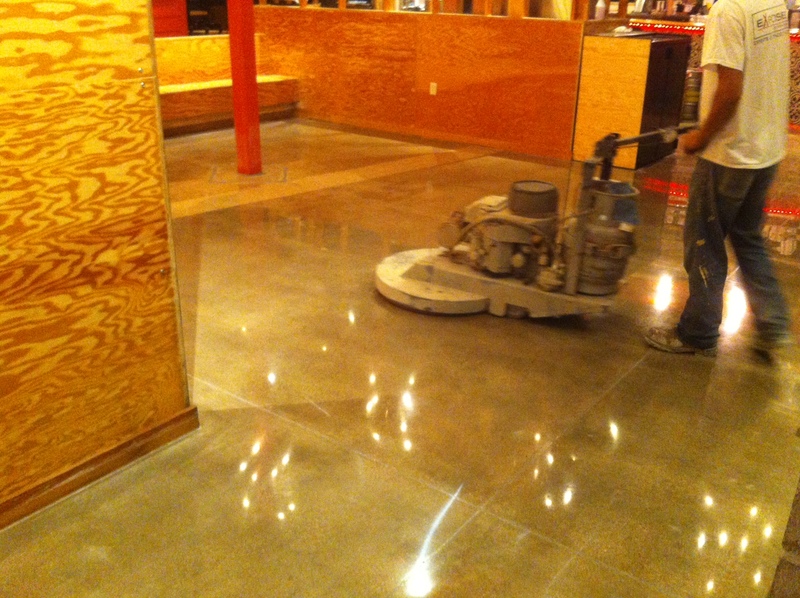 Check out another successful polishing job by Exposed Design Group at a local taco shop. The acrylic surface was dirty and grimy before, so the Exposed crew went in and revived its sheen and color. This was an overnight job that was quick and efficient. 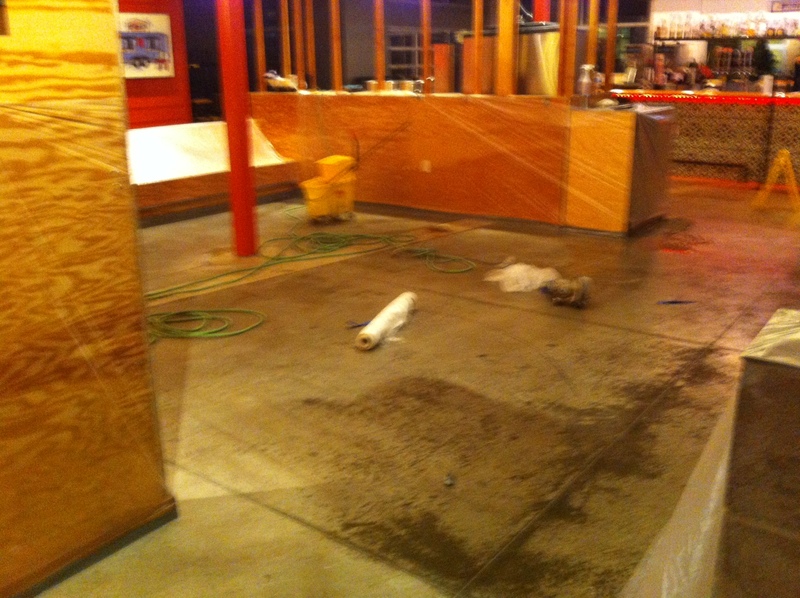 Scope of Work: Exposed was approached by Torchy’s about a slip hazard on their floor. When the Exposed crew went and looked at it, it was an old stain/acrylic sealer job. Exposed then proceeded to work on grinding all of the material and grime off of the floor after business hours. 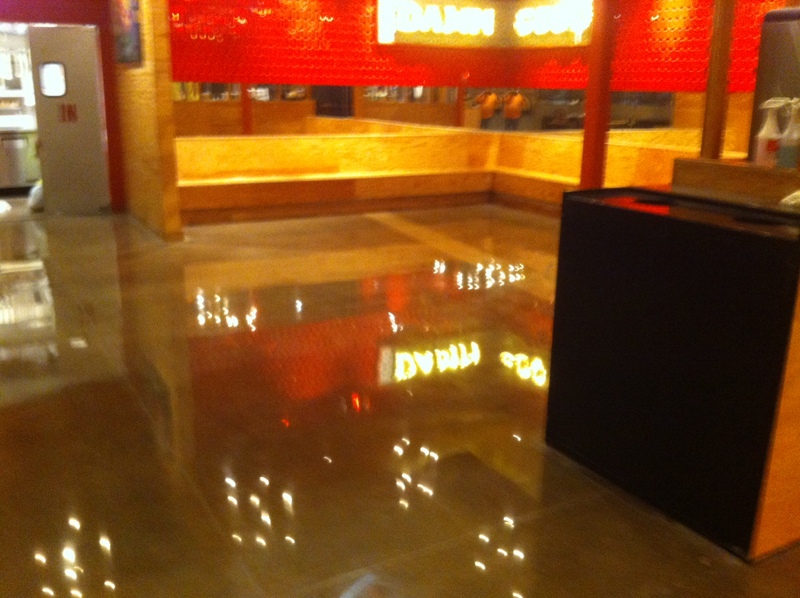 After grinding, they gave Torchy’s a high-end polish, achieving a gloss factor between 75 and 85 throughout the entire store – even on the edges. Result: You can see from the above left picture that this job was a huge success. All the stains were remedied with uniform color and the light reflected in the floor is so evident thanks to a quality polish. 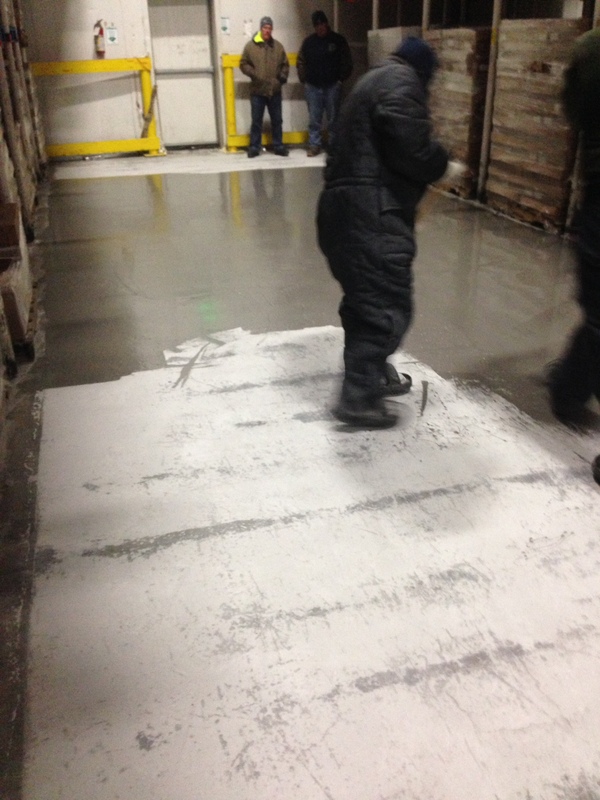 Repairing concrete in industrial-sized freezers is always a challenge. 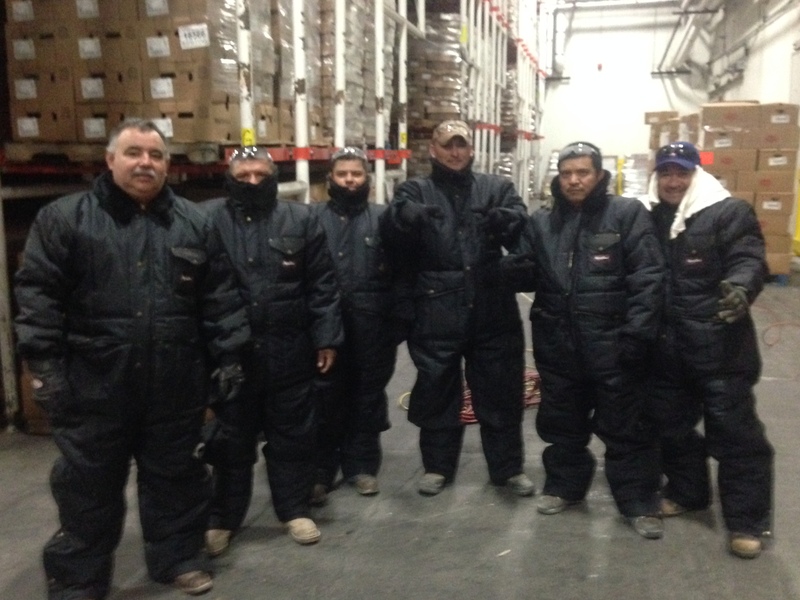 However, Exposed Design Group tackled such a feat with a little ingenuity, high-quality products and much-needed industry experience. 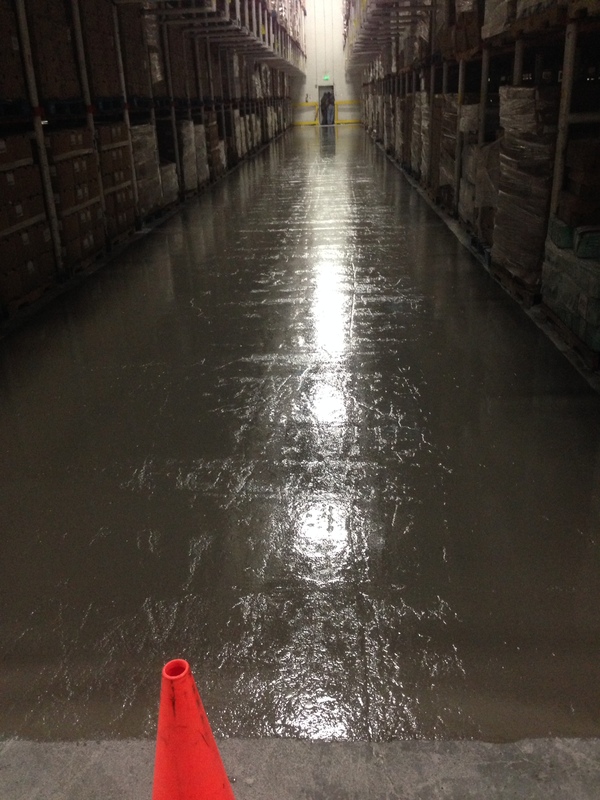 This freezer project demonstrates the importance of concrete flooring maintenance in high traffic [forklift] areas, not to mention why using the correct chemically-formulated repair products is vital for such a volatile part of any industrial facility. 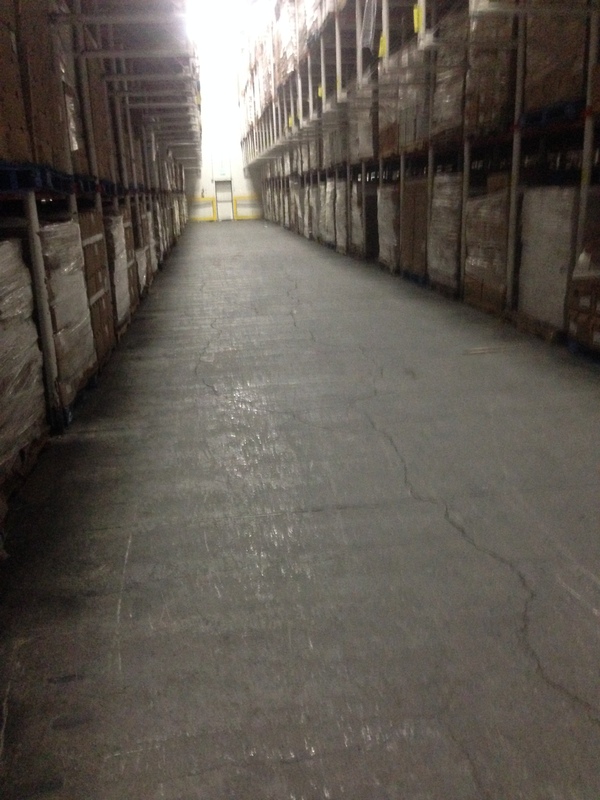 AMC was not happy with the surface of its freezer floor as it was old and deteriorating. The facility was experiencing excessive monthly forklift repair costs and had several 55 gallon drums full of damaged forklift wheels. 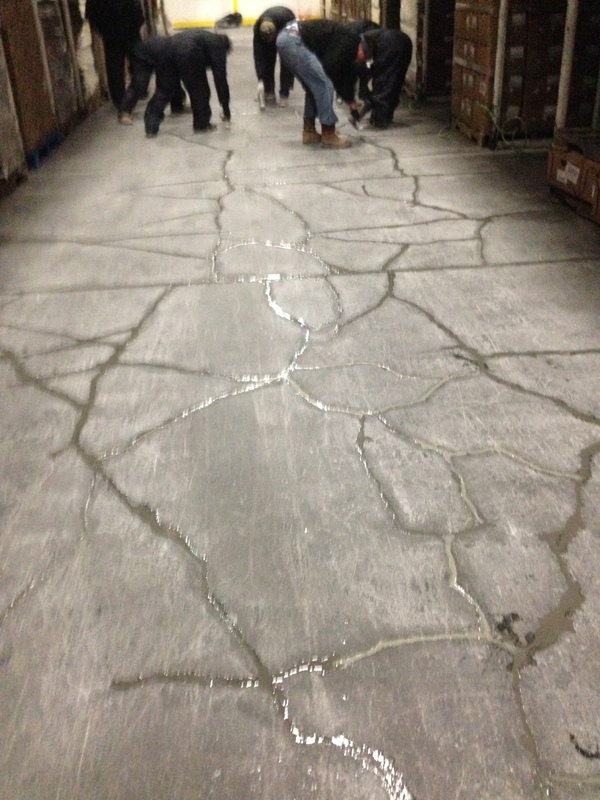 The Operations Manager inquired about which options he had for achieving a smoother slab surface. After researching several potential options, Exposed decided that a skim coat of a polymer rapid repair product rated to negative 30 degrees would be the best solution. 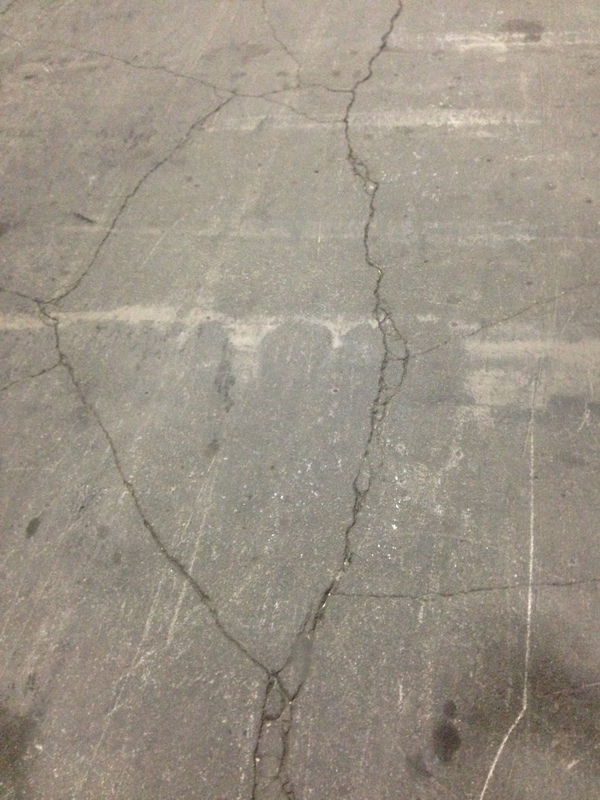 The process included repairing all cracks and surface defects with a fast-curing polymer repair product, followed by a light grind to open up the surface of the slab. 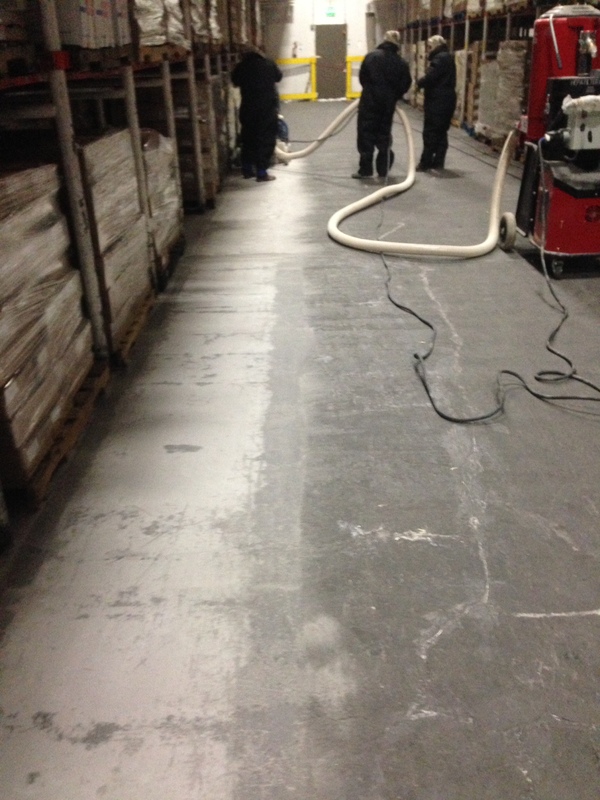 The final stage of the rehab included squeegeeing a skim coat of the same polymer rapid product to provide a more durable and smoother floor finish for the customer. 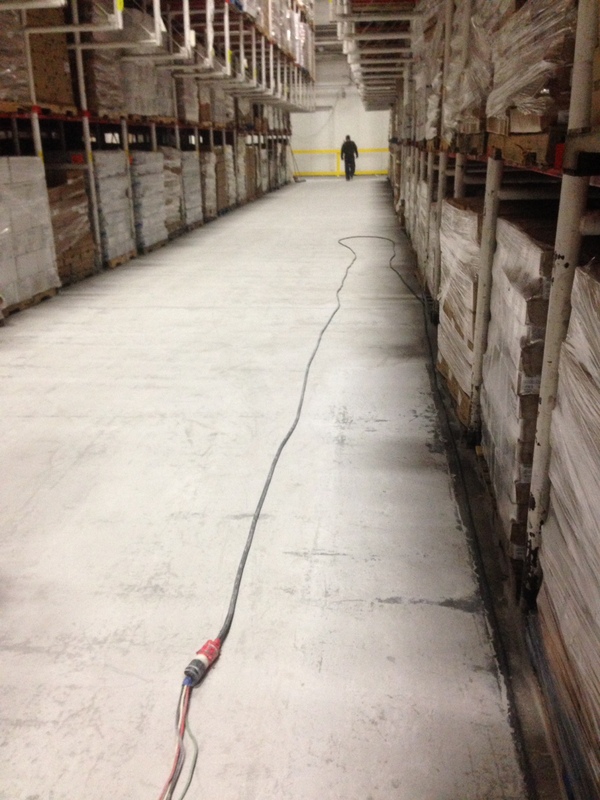 The floor was repaired 8 months ago, and the customer couldn’t be happier with its performance. As a result, this successful rehab project reduced their material handling device repair costs and has increased their operational efficiency.